Pet Friendly!! 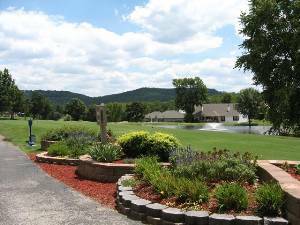 Branson's Beautiful Pointe Royale Golf Resort! Your new "Home Away From Home"! 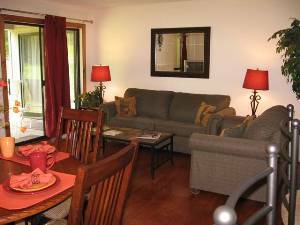 Either 2BR or 3BR units at Pointe Royale Golf Resort, whatever works best for you & your family. 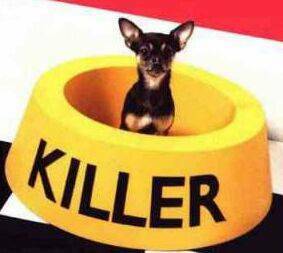 Pet Friendly or Pet Free - it's up to you. Concierge Service Available! Tell us what you need in the refrigerator/cupboards when you arrive and we'll have your shopping done! Condo Owners - we will trade weeks for beach-front condos on either coast or Hawaii. Each resort has a variety of amenities. Just ask Sonya which is which when you call with your reservation? Even little pups love us! Tony Z's in now on site, with a full bar and delivery service! 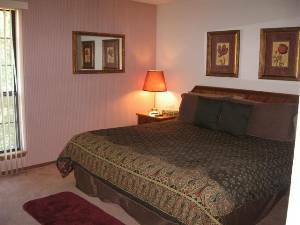 We're updating the masters to provide you pillow top comforts! 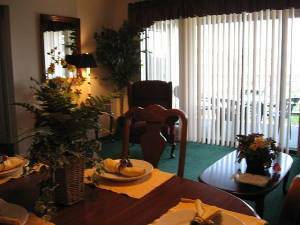 May 22, 2009 Reviewer: Mindy L.
We had a great stay with our two small children and family dog. The place was clean, quiet and perfect for a Mother's Day weekend. Sonya quickly responded to our requests, and we would stay there again. Homeowner Response: Thank You for your nice comments - hurry back! I hadn't had a vacation all year and wanted nothing but peace and quiet with my husband and my dogs before the Thanksgiving festivities. Thank God I ran across Sonya's condo on the internet! Peace and Quiet is what we got. The condo was very fine and met most of our expectations. In fact, that condo is why we would choose to visit Branson again. Homeowner Response: Thank You! You must have been impressed to take the time to go to the website and enter your approval - Thank You! This was our second stay at Pointe Royale and it was even better than the first time. Our condo was fantastic, no steps what so ever, it truly was a walk in walk out. Our one dog is old and can not do steps at all. This place was perfect. We will be back next year for sure and if possible this November. Thank You again Sonya for providing us a condo to enjoy. We really enjoyed our time here! The porch was our favorite, breakfast with Ginger (our Irish setter) watching golfers, bunnies, and those high wired squirrels! We almost didn't even see a show! We went to Eureka Springs, picnics at Table Rock twice, cruised the lake, Cedar Lodge, went around on the big spare rib quest, and have more to bring home than we came with! Good thing we didn't see a scale to find out how bad we were! We have had a wonderful time. The condo is so pleasant - and CLEAN, and we were able to stay longer since Whitby the Dog was allowed to come along. She has had a great time watching the golfers and the squirrels. We enjoyed the restaurants along with previous note and have added to it Gum Rai, a Thai restaurant on the strip (across from Wal-Mart) and the Grille at the Chateau on the Lake. Thank you for such lovely and reasonably priced accomodations & for being pet friendly. We were very pleased our accomodations. The golf course was great and we loved the pool. It was also very nice being able to have a pet with us. We had no idea there was so much to do in Branson. We had a wonderful time at Silver Dollar City, kayaking & scuba diving at Table Rock Lake & renting a wave runner. The best restaurants were Tony Zs & Zoey's for dinner and the Uptown Cafe for breakfast. Stay away from S----- S----'s unless you like a lot of grease. At this point we don't know if we want to retire in St. Croix or Branson, Mo. We, the Abneys (4) spent 4 days in your condo. We had a great family vacation. Enjoyed staying in your condo. 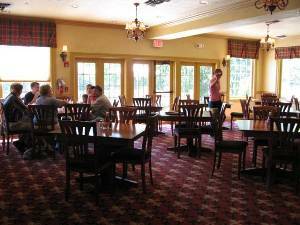 The men enjoyed the golf course and we ladies enjoyed shopping & etc. Thanks again for the special Anniversary treatment. Thanks for making my stay an enjoyable one. The treats I enjoyed very mcuh. The stay at your condo was so wonderful. Very comfortable. Everything we needed for a great vacation. We saw the "Great Passion Play." Very enjoyable!! Thanks for the fabulous time! We enjoyed our stay at your condo. Our babies Pugsly & Paisly liked barking at the golfers from the balcony. Our favorite places to eat were the Whipper Snapper (loved the lobster) & the Hard Rock Diner. Our favorite show, "Lost in the 50's" was wonderful. We would recommend your condo to anyone, very clean & quiet. 2 very relaxing weekends in a row! We enjoyed our stay. The guys were in a fishing tourney today, so the girls shopped and relaxed. Thank you for providing such a great place! This was a truly wonderful visit! We could not have had a better time. What a lovely and relaxing atmosphere! We really enjoyed everything! Andy & I had another great visit to Branson. We enjoy staying with you because we can bring our dog, Major! The condo was great & we will see you next weekend! Thank you so much for a beautiful weekend! The champagne for our anniversary was a pleasant surprise! The condo is beautiful, and our puppy "Sassie Rue" was so comfortable. Even better was the nest of baby birds in a tree outside the deck - we watched them wake and sleep! We will definately be back this summer! "A grand time was had by all." Our visit to Branson was a first but certainly not our last. The condo was great. Your attention to detail anticipates the needs of your guests and is gratefully appreciated. Thanks for a wonderful Spring Break! We really enjoyed our stay here. We saw the Andy Williams show and the Grand Palace Christmas Show. Two very excellent shows. We really want to come back here to stay and will keep your number on hand. We have truly enjoyed staying in your lovely condo. It was especially nice having the kitchen area with dishwasher and washer/dryer. I'm not ready to leave - wish we hand another week! Hope to return next year. PS - Thank you so much for allowing us to bring our dog. That meant a lot to us! 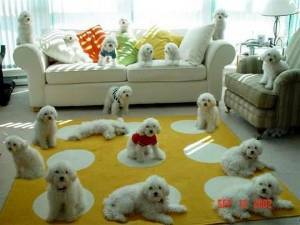 We stayed at the Fall Creek condo a couple of weeks ago with our two Poms. We had a great time! That place was so nice. And it had a little welcome mat and dog bones and toy for the pups. It's so nice to be able to stay somewhere that accepts the pups where we could leave them and go to a show and not be worried about them. We went down to the marina with the pups and they were so nice down there. And I must say the indoor swimming pool is wonderful. The condo was comfortable, clean and we will be staying there again. I recommend it to everyone. Thank you, Sonya! Fall Creek Steak and Catfish good! With throwing rolls! Kids loved Dixie Stampede! Dog loved the yard! Will come back and stay here again! Thanks for providing such a nice place to stay. It sure beats a motel room! We had a great time and look forward to returning soon. We went to the Presley show, the Branson Belle Showboat, rode the train, shopped, ate & relaxed. Nope to come back next spring. We certainly enjoyed our stay in Branson. The condo was lovely - perfect for us! Shopping was great....Many treasures to take back with us. Wish we could take Danna's BBQ with us, too! We ate there 3 times! We got to see Pam Tillis, we had front row seats and got to shake her hand, and got autographs! Silver Dollar City was great, enjoyed "Shephard of the Hills" (am reading the book now) and we even rode the "Ducks"! A truly wonderful vacation! Thank You! PS - Boo loved the squirrels and the treats! I wanted to tell you I had a magnificent time here at your nest in Pointe Royale. I hope to stay here again. Thank you so much for sharing your place with us. The guys enjoyed golfing and the girls enjoyed the pool and shopping. We also celebrated our son's 27th birthday. Happy times and memories were made here. We had a great time, the condo is really nice. We can't wait to come again next year and visit Branson. We really enjoyed the condo. Had a great time. We found this Condo to be super nice and roomy. 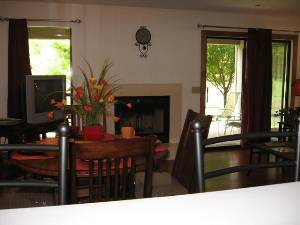 It is very well kept and the owners are wonderful. We had 4 adults and two children, we loved the view and certainly our stay. Six of us girls had a wonderful 1 week stay at Fall Creek Building 51 #5. It was beautiful and quiet, yet close enough to town for all the shows and attractions. We wish we'd had more time to enjoy the lake and resort amentities. The Pointe Royale condo is the BEST! While the golf was challenging, the pool and new club house was fantastic! Book us again this fall, please? I LOVED IT! My 3 children and I had a wonderufl relaxing stay. The closest pool is located at the next set of condos. My children swam while I relaxed on the balcony enjoying the view and the quiet atmosphere. This condo is far enough out for the comfort of peace and quiet; yet the shows and attractions are conveniently accessible. We will be back! Just want to say thanks once again - we couldn't have felt more welcome or cozy! Miss Abby is wonderful! Would love to do this again. Absolutely gracious, relaxing and we will be back!! Great place to stay! Even saw Booger Holler! Quiet, clean and out of the way. Will return this summer. Check, money order, major credit cards plus taxes. Cancellations will be refunded when replacement booking is completed. Other Fees: No charge to bring your dog!